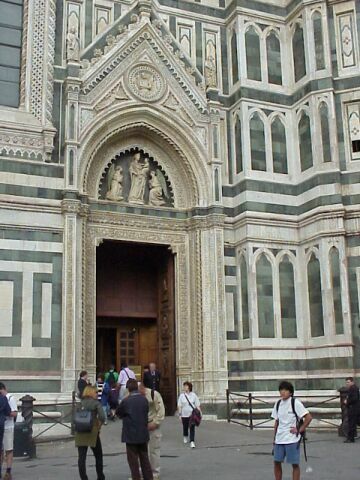 The cultural and historical impact of Florence is overwhelming. Close up, however, the city is one of Italy's most atmospheric and pleasant, retaining a strong resemblance to the small late-medieval center that contributed so much to the cultural and political development of Europe. The remarkable Duomo (Cathedral), with its pink, white and green marble façade and characteristic dome, dominates the city's skyline. The building took almost two centuries to build (and even then the façade wasn't completed until the 19th century), and is the fourth-largest cathedral in the world. 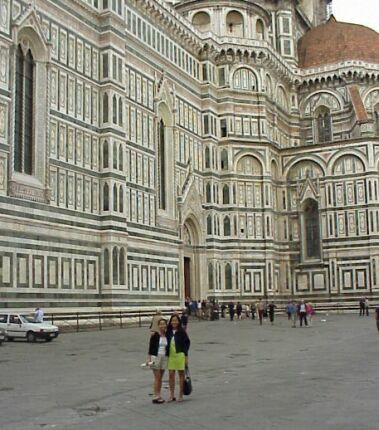 Duyen and I posing in front of the cathedral. We went shopping in the market place and went nuts with all the fancy and fake "designer" stuff...by the time we got to the Cathedral, the door was closing, so we could not see the inside of the cathedral. 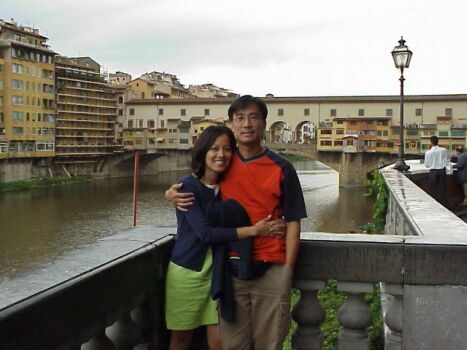 Ponte Vecchio, the famous 14th-century bridge is lined with shops selling gold and silver jewelry, a step up from the butcher shops which previously lined the bridge. The bridge was the only one in the city to escape destruction during WW II. 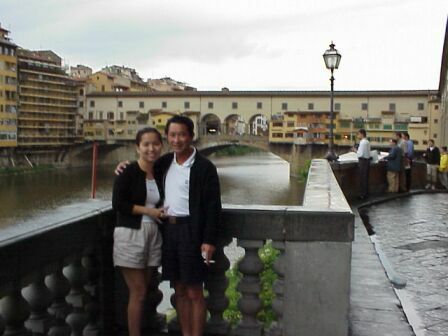 Duyen and Hung posing in front of the famous Ponte Vecchio. Same pose with Hanh and Phong.